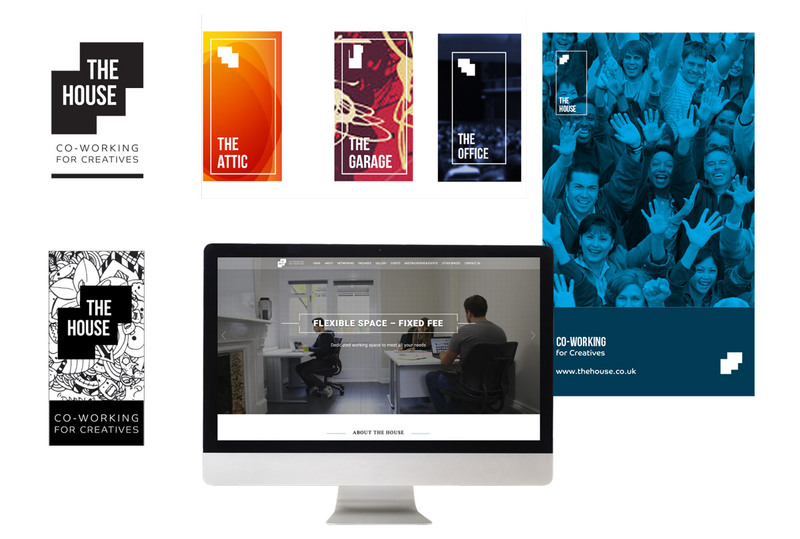 Miramedia were tasked with creating a brand for a new co working space that would appeal to the creative sector. The House is the result of a collaboration between Tunbridge Wells based creative businesses, Tunbridge Wells Borough Council and Kent County Council, to provide much needed, affordable and flexible desk and event space for small businesses, freelancers and start-ups working across the creative sector. The building provides 57 desk spaces and 10 co-working (hot desk) positions as well as a number of shared spaces including a large kitchen and garden. The House aims to provide a home to small businesses as well as a focal point for the creative sector in and around Tunbridge Wells. As a completely new space and concept, no branding existed for The House so everything we created was from scratch. As The House is a co working space for the creative sector, the branding needed to appeal to freelancers and businesses working in this sector, but at the same time be relevant to the demographics of our local area. Everything designed also needed to be ‘extendable’ so it could be used across other similar co working spaces in Kent, providing a cohesive brand for those looking for flexible workspace. We worked closely with all the stakeholders, creatives, the local town council and branding agencies to produce the result. With so much similar expertise amongst the stakeholders, the challenge was to listen and then provide a solution to meet all the stakeholders needs. Miramedia produced a brand that is adaptable, relevant and has impact. It has been easily extended to other buildings within the portfolio of buildings.